Attorney Kamille Dean has been practicing law for over a decade. She is licensed in Arizona, California, Minnesota, and Utah. Kamille has her Bachelor’s Degree and Master’s Degree in Psychology. She graduated with her Master’s from Northern Arizona University in 1998, worked for Northern Arizona Counsel of Governments (“NACOG”) for a year and then pursued her law degree at the University of Minnesota, where she graduated in 2004. Kamille then returned to the State of Arizona, which she considers her home away from “home” (Colorado, where she was raised). Kamille’s enthusiasm for law began at a young age while working part-time as Deputy Clerk for the town she grew up in where she took Board minutes and helped draft ordinances. At the age of 18, Kamille was accepted into pre-law at the University of Denver, but chose to pursue her degree in psychology instead. Her psychology education and career led her back to law and now Kamille is a prominent criminal defense attorney who is known for her zeal and professionalism, and she is an attorney who does not stop fighting for her clients. surpassed many in her pro bono service and was awarded the Minnesota Justice Foundation Service Award. Kamille was also awarded Distinguished Master’s Thesis during her studies in Flagstaff. While in law school, Kamille taught psychology courses at the University of Minnesota and externed for the Honorable Philip D. Bush at the Fourth Judicial District of Minnesota where she was offered a position as a part-time judicial law clerk to Honorable Philip D. Bush while still in law school. Kamille interned for the Arizona Attorney General Office’s Drug Unit while in law school where she learned how to prepare cases for grand jury presentation and assisted in legislative proposals. After graduation, Kamille was an associate attorney at Balogh Becher LTD in Minnesota where she practiced California civil litigation. Kamille Dean also worked for a brief period of time as in house counsel for U-Haul International, which is headquartered in Arizona. Thereafter, Kamille returned to criminal defense, which has been her passion since 2003 when she completed the misdemeanor defense clinic in Minnesota at the Hennepin County Public Defender’s Office after training and working to be a prosecutor. Kamille learned how to be a successful solo practitioner and successfully represent her clients from the experience she got working as a law clerk and of counsel for the certified criminal law specialist Robert Campos. Kamille was able to work one on one with Mr. Campos and assisted in several jury trials and pre-litigation motion practice. 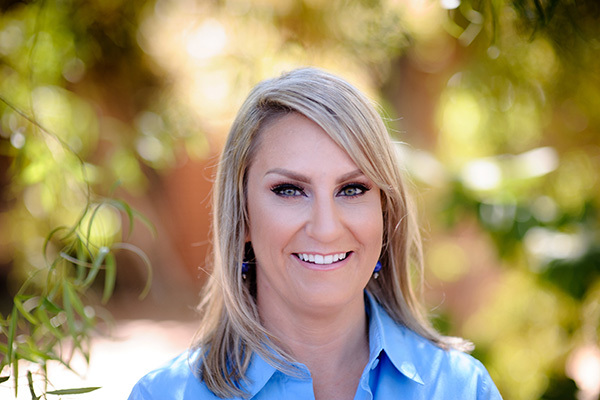 Once Kamille got her license in Arizona, she worked briefly as a public defender for Maricopa County Public Defender’s Office and then left to start her own practice where she continues to zealously represent the accused. Kamille has been a solo practitioner for nearly 10 years and had dedicated most of her time defending those charged with crimes. Although the majority of Kamille’s case load is felony matters in Superior Court, Kamille has handled a vast amount of cases in City Courts and Justices Courts, and also has experience with Federal Cases. Kamille also handles forfeiture cases related to drug cases where an innocent owner’s property is unjustly taken by the government. Kamille’s client base is by referral only and Kamille does not advertise. Kamille guarantees her clients that she will work her hardest on their cases to get the best possible outcome. As a Client at the Law Offices of Kamille Dean, you are not just a number but a person. Kamille Dean is licensed to practice law in Arizona, California, Minnesota, and Utah.